If your bathroom or washroom has seen better days, you are in the right place. Below we share with you six simple ways to refresh your bathroom and make it a more pleasant place to be. 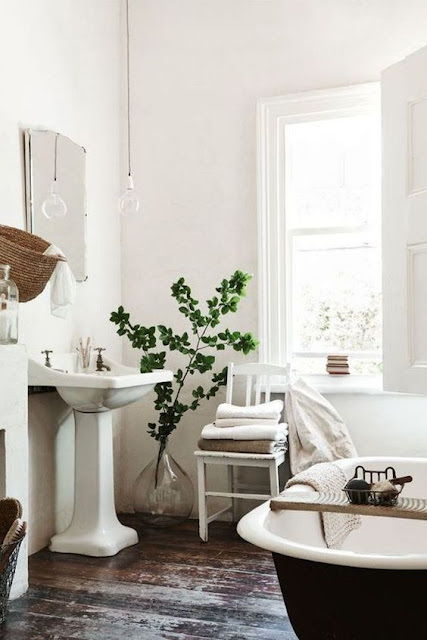 One of the simplest ways to give your bathroom a new look is to replace the accessories. This job does not take long to do, and need not be expensive. Many bathrooms look a bit dark and dingy. Especially those that have only one light hanging from the ceiling. Adding some additional lighting will make a huge difference to the ambience and make the bathroom a more practical place to use. For example, installing a light near your mirror will make it far easier for members of the family to have a shave or apply their makeup. If you do not already have tiles on your walls consider adding them. They look much better than painted walls and are far easier to keep clean, and mould free. You do not necessarily have to tile the entire room. You will be pleasantly surprised by how much difference just tiling around the bath makes. If you have little boys in the house, it is definitely well worth taking the time to tile the wall space behind the toilet. That way if they have any accidents you can quickly clean them up. Just replacing the flooring will make a huge difference to the overall look of the room. These days replacing a floor does not have to cost a fortune, especially if you opt to use lino or laminated flooring. You just need to be careful to buy the type that is designed to be used in the damp and steamy environment of a bathroom. This buyer’s guide to bathroom flooring will help you to buy the right materials for the job. If you want to give your walls a new look you do not necessarily have to repaint or re-tile. It is now possible to buy waterproof walls stickers and decals, which are suitable for use in the bathroom. When refreshing the walls, take the time to paint the ceiling too, it will not cost much, or take you long to do. You will be pleasantly surprised by how much difference this simple step will make to the overall look of the room. Last, but by no means last, is going through and giving your bathroom a through clean. You will be stunned at how much better everything looks after you have given it a through clean. You can buy much of what you need to do all of the above at www.betterbathrooms.com. This company has a huge inventory and sells products that are suitable for any size, or type of home. Everything they sell is guaranteed, and they have a helpline that you can use should you have any questions.